Graphic industry: Screen, tampon and offset printing machines etc. 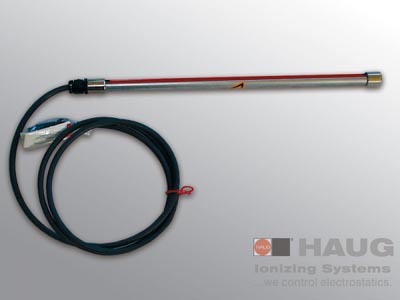 By installing the ionizing bar in a suitable body, a compressed-air assisted ionization system can be created. This air gate is particularly suitable for blowing-off processes on plate and web material or where installation is difficult, e.g. in the case of distances further away from the material. Four basic body types LS Ex, KL Ex, KM Ex and AK Ex are available. Air consumption figures on request.